Greasy food, rude service and unclean setting – an account of a meal taken in the legendary dhaba. This account is based on the recollections of a meal taken during the summer of 2006. We were standing outside Kake Da Hotel at Connaught Place in New Delhi. Moaned over by food critics, the legendary eatery – its name implying ‘Uncle’s Restaurant’ in Punjabi – is supposed to be a carnivore’s delight. Amateur gourmands drive great distances to feast on its celebrated Butter Chicken. 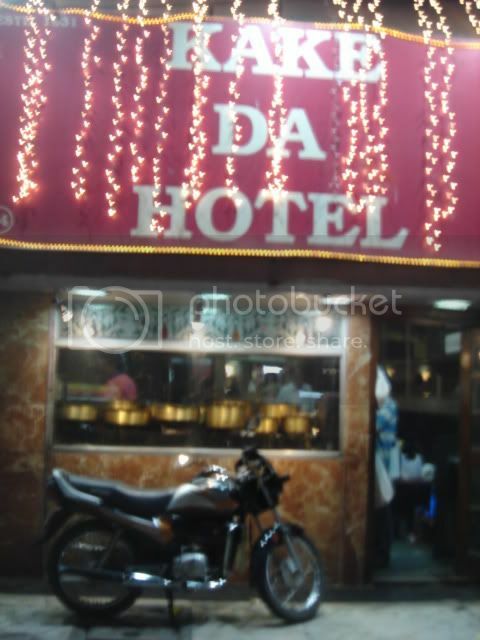 But Kake Da Hotel was a mere shack beside a smoggy highway. Worse, it was summer and the restaurant was full so we had to wait and perspire outside with many others. A bearded man at the entrance, likely to be the Kake’s version of a maitre d’hotel, was assigning numbers to the waiting diners. He would call out the number each time a table was cleared. While expecting to be summoned inside any minute, we dwelled on the mythical history of this gastronomical landmark. It was said to have been founded by a Sikh gentleman who had migrated to Delhi after the Indian partition in 1947. With no disrespect to the refugee’s entrepreneurial skills, we refused to be impressed. The eatery, with its cement floor, shabby door, and plastic chairs, was not a pretty place for a languid dinner. Just then the maitre d’hotel furiously gesticulated at us to walk in. It was an unsettling sight. Our table top displayed remnants of a freshly dug graveyard. Chicken thighs, sucked out of all the flesh, were lying like ignored carcasses on jungle roads. The body language of the waiters warned the diners to eat, slurp, and be swiftly done. We shifted uncertainly on our chairs when an old steward flung a menu on the table. We guiltily pointed at the bones. He swapped a dirty cloth over the table and lo, the bones were down under! Shocked but not awed, we tried to focus our attention on the laminated menu card, yellowed with old curry stains. There was no need to mull, however. Both of us simultaneously said Butter Chicken. It was the signature dish after all! We ordered it with Palak Paneer and Naan-bread. The steward demanded just how many naans we have in mind. After an exchange of glances we promised to let him know; once done with the first one. He shrugged his shoulders and disappeared. A prolonged wait was undesirable. It was hot. The exhausted fan was moving reluctantly with great sounds of fatigue. A tandoor furnace glowed red not far from us. A cook was turning rotis in it with large iron tongs. His sweat occasionally dripped from his eyebrows onto the deep pit of the tandoor. It was displeasing to watch and we turned away – only to see a steward, his fingers dipping down into the water jug! We made a face and tried to think of the dish we were looking forward to. Called Murg Makhani in Hindi, Butter Chicken originated in the 1950s at the Moti Mahal restaurant in Old Delhi. Famed for its Tandoori Chicken, the cooks there used to recycle the leftover chicken juices in the marinade trays by adding butter and tomato. This sauce was then tossed around with the tandoor-cooked chicken pieces and presto – Butter Chicken was ready! The leftover dish appealed to Delhites and was quickly lapped up by the rest of the world. 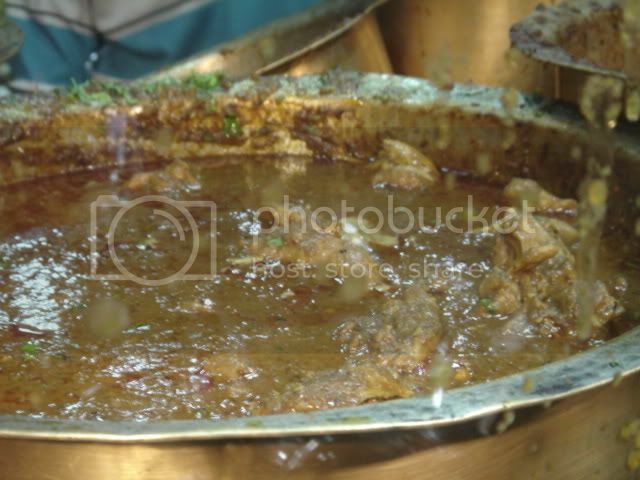 Today it is difficult to imagine Delhi’s cultural heritage without this rich delicacy. If the people of this city are sometimes called fat, aggressive, and lascivious, then Butter Chicken must share a part of the blame. The steward finally banged the dishes down on the table. The violence splashed the gravies. As we picked the chicken legs with our fingers and licked the flesh, we knew we had just stepped into a new and difficult adventure. The first sensation was jolting – as if gallons of butter had flooded inside the mouth. The tongue became as slimy as crude oil. The hollow cavity of the rotting tooth was choked with a thick coating of butter. To reclaim sobriety, we quickly tore a bite of the naan, ducked in a scoop-full of Palak gravy and gulped it in. The green juice managed to clean the greasy goo. However the gravy, thickened with dozens of spices, seared our throat on its way down. Fortunately, the spinach’s mild flavor lingered behind and calmed the agitated nerves. We then paused to contemplate a second attack on the chicken. This time the butter in the chicken felt familiar. We chomped at the flesh. It was soft — too soft. The creamy flavor of the over-done bird made us feel heavy. It helped to have a steel bowl filled with onion rings, sprinkled over with salt and lemon juice. Their unmolested rawness was a desirable follow-up to every bite of chicken we ate. In fact a moment came when we felt that the humble onions were the best part of the meal. There was more disappointment. The Paneer, floating languidly in the green gravy, sent confusing signals. It was slightly undercooked – chewy and bland – and failed to absorb the bouquet of Palak leaves. The heat of the spices, too prominent in the gravy, was missing. Did the lazy cook add the cheese cubes too late? As the dinner progressed, the discomfort caused by the appalling state of the eatery, the humid heat of the evening, and the attitude of the steward could not be overcome by the meal. Nearing the end, the rude man re-emerged to enquire for a second helping. Deeply unsatisfied, we requested the bill instead. Once out and at a safe distance away, the companion hesitatingly confessed to have witnessed our steward picking his nose. Congratulations on your survival. A visit to your cardiologist is suggested after all that grease. Your picture of the Butter Chicken is sufficient to give up chicken, butter and Indian cooking — at least as disgusting as the Ketucky Fried version. There are such places here in Mexico, too. Many. Dysentery lurks behind many restaurant facades. Not far behind. I look forward to eating in Chinese, Italian and Cuban restaurants on my next trip to Miami (and Indian if I find one that does not look or smell like the one in your fascinating story) and continue to disinfect foods at home and cook them myself. Good gawd – ! Alas, it’s both depressing & reassuring that bad cooking, bad service, & bad hygiene are a universal trait. I think after that I’d have dropped my tip into the bottom of the grease-filled dish & left still hungry. You were brave to try a second bite. 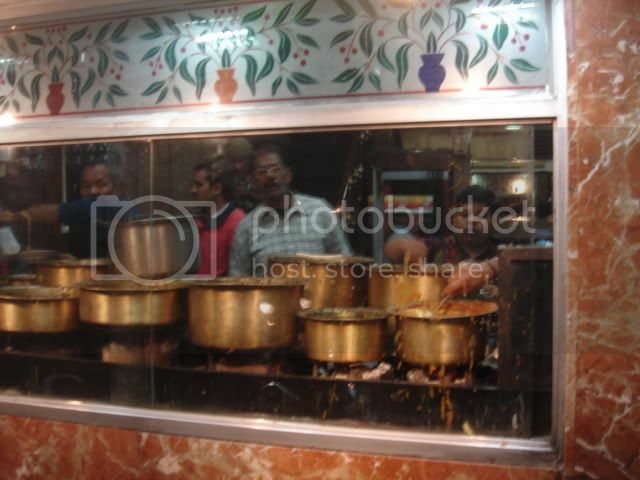 I grew up in Delhi eating Daal Makhni and Chicken Makhni at both Kake Da Hotel and Moti Mehel. The original owner used to go out of his way to keep the customers happy but obviously next generation has not been that dedicated. Even 30 years ago when we moved to US these joints had already lost or were loosing their old reputation. Here in Atlanta my kids love these dishes which my wife makes using Half-and-half, but they really love when it is made by their nani-mummy with some real butter added. Of course you should visit your cardiologist if it is your staple diet, otherwise it should be ok to indulge occasionally. That was the most explicit description of eating butter chicken,i have ever read. Besides being extremely candid ,it evidently opposed the popular and biased love given to butter chicken in our city. The highlight for me was your support and appreciation for the ‘underdog’ dish,’sidedish’ rather….the raw onions dressed with fresh lemon juice! By the way i completely support you for the cause of having ‘clean’ and ‘hygienic’eating joints…because for some of us the ambience does affect the appetite. I’m The Delhi Walla – the city chronicler concerned about the health of his fellow-citizens. This responsibility weighs heavy on my not-so-strong shoulders. So I intended the visit to serve as a warning to my readers. However, I urge you not to be so overwhelmed by my impressions. Perhaps it was just one of those evenings. And you must stop hoping for me to emerge unscathed from this gastronomical adventure. The account was about a summer evening in 2006. It is 2007 now and I’m fine and on the job. well, i agree that so is the case andyour observation holds water..but then, there’s nothing new i c in this..at least to the point that i feel that there was no reason for you to dine consent fully at such a shabby place knowing that such things exist inevitably. I have to agree with Suruchi here: there are only three ways to exist in Delhi: one, preparing to run away to a cleaner land, two, ignoring everything and staying cooped up, and three, as a tourist, cautious of all the bad stuff but still willing to explore enough to find the few good bits this city has to show. Neither one involves eating at joints like that. That kind of existence is best left to the natives, in fact, to Kaka’s own progeny. you chose the wrong dish.Next time go upstairs where the air conditioners work and order meat dahi walla.Red meat in yoghurt gravy.then lets talk.You dont go to Kaka and eat veggies. Two words, Take-out. I was in Delhi and took out food from Kake, Bhape, Anand, local dhabas and many other not so appealing joints. I must tell you, the same food when eaten at home tastes much better. But again, I went to Delhi after 5 years and any food in Delhi is better than the Indian food I eat out here in US. ← Interview: Do Delhi Women Have Horns Coming Out of Their Heads?